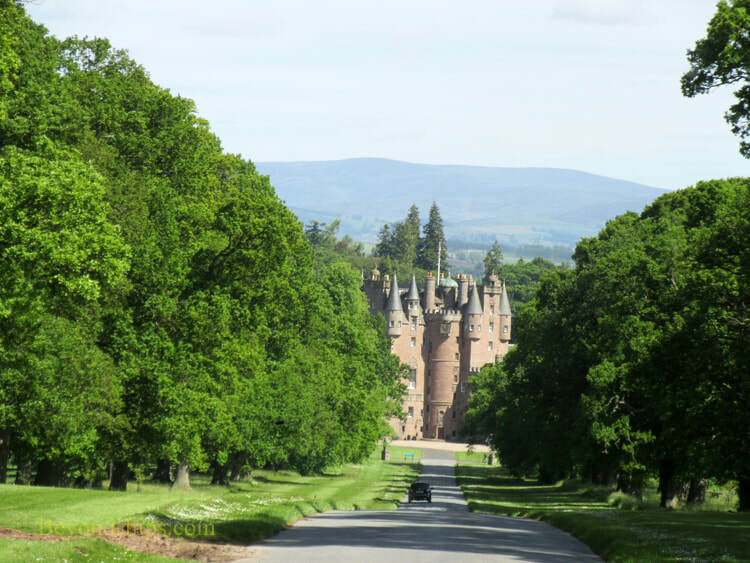 The grounds surrounding Glamis were landscaped by the famous English landscape architect Capability Brown in the 18th century. As a result, the castle sits in a picturesque park-like setting. Immediate;y adjacent to the castle is the Italian Garden. It is a formal garden, laid out by the Queen Mother's mother around 1910. 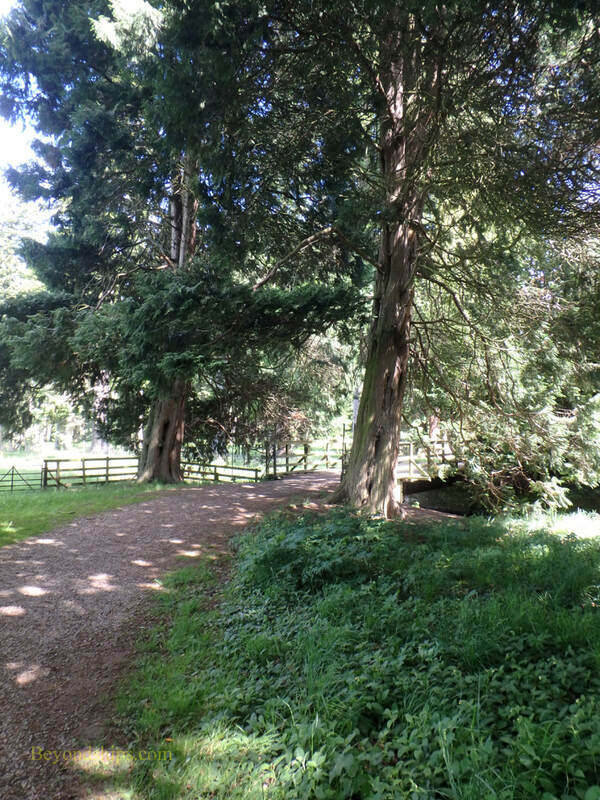 Surrounded by tall banks of yew trees, gravel paths run between the beds of flowers. A raised terrace with two gazebos provides a vantage point to view the pattern of the beds. Perhaps a mile away is the Walled Garden. 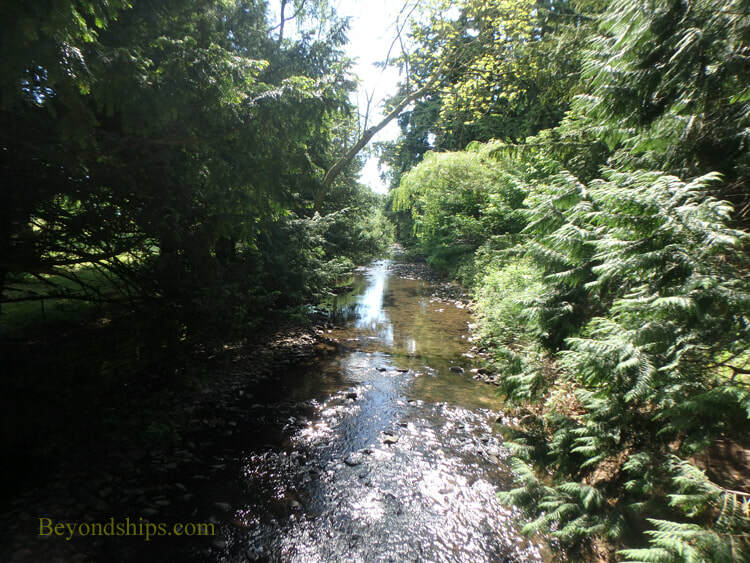 You get there via a path that runs through the Pinetum. 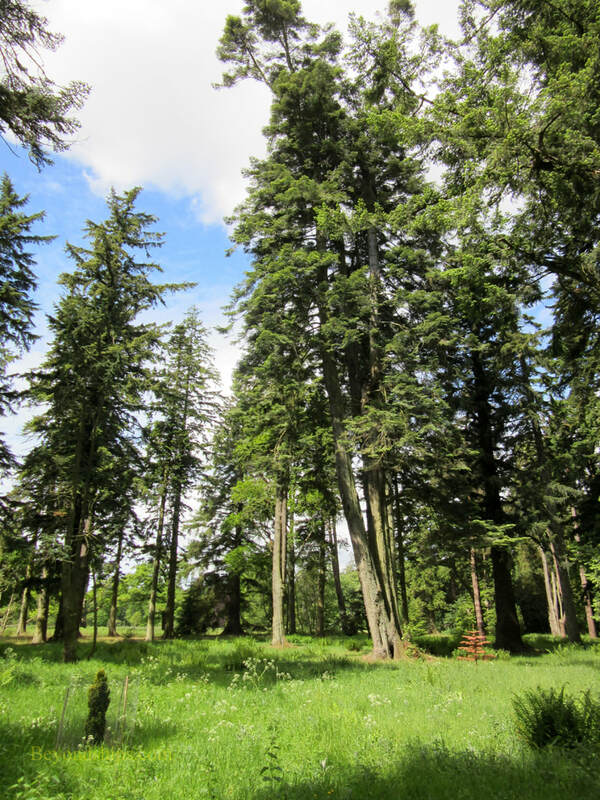 Planted by the 13th Earl around 1870, the Pinetum has grown into a forest of tall conifers and rare trees. It has the feel of a North American woodland. Carved wooden figures have been placed here and there. 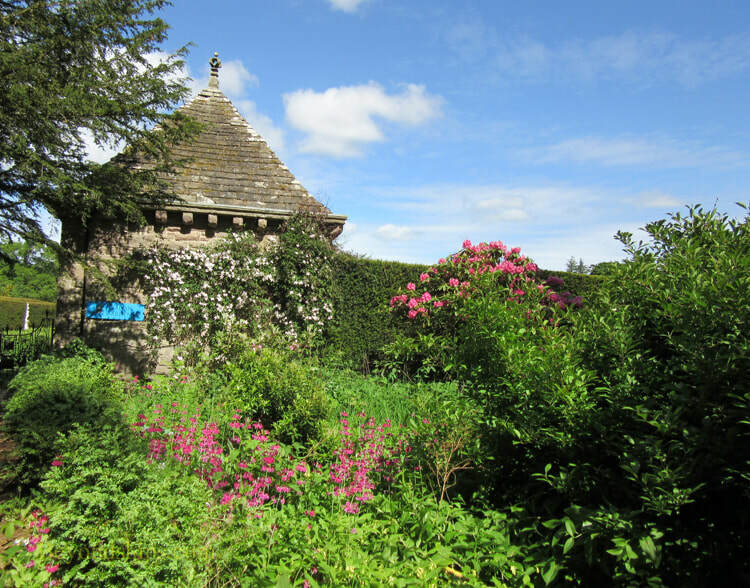 The Walled Garden was originally built to provide food and flowers for the house. 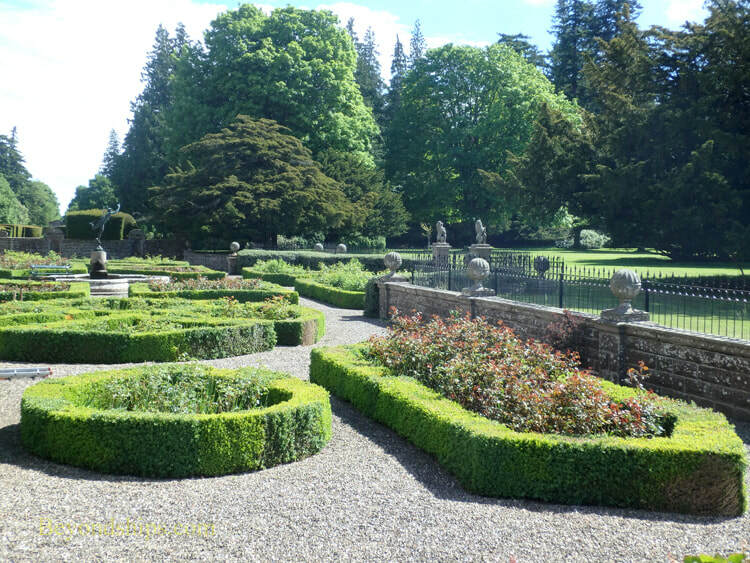 Recently, it has been redeveloped into a formal garden with a fountain and well-manicured flower beds. Above and below: The Italian Garden. Above and right: The Pinetum.